Aitutaki is a part of the Cook Islands, but is admininistered separately and has its own postal service since 1972. It was attached to the Cook Islands in 1901 and used overprinted New Zealand stamps until 1920. The stamps issued in 1974 in observance of the centenary of the Universal Postal Union show a map of the island with overprinted New Zealand stamps (Aitutaki 1, 2 and 132) and Aitutaki SCN 28. Until 1956, when Antigua became a Crown Colony, it was a presidency of the Leeward Islands. In 1981 it became an Associated State of the United Kingdom, and in 1981 it became an independent nation with the name Antigua and Barbuda. 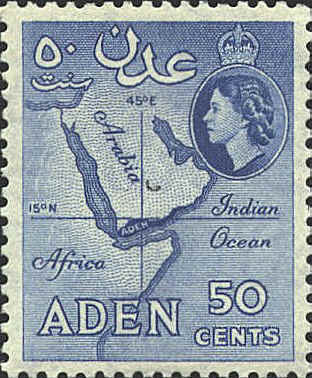 The stamp shows a map of Redonda commemorating the centenary of the phosphate industry.